The H2O cleaner has brought washing floors to a whole new level of “easy” that it’s almost close to impossible to mess it up. Water goes in, steam comes out. From kitchen spills to mud on the floor, dirty surfaces are quickly cleaned and sanitized. Your mop keeps your home comfortable and presentable, but here are some ways you can actually mess it up. 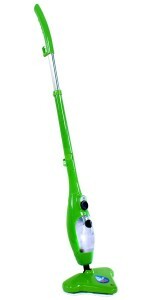 • Using your steam mop on unsealed floors. Never use your cleaner on unsealed hardwood floors or laminates. Steam is a burst of moisture that can cause swelling in some wood composites. Simply put, if your floor does not allow for it to be exposed to hot water, especially if you have adhesive tiles that have lifting corners. Otherwise, it’s great for sealed floors. • Using your mop on delicate fabrics like leather. Steam mops are usually safe to use on furniture and some fabrics but somehow, leather and steam just don’t mix. If your steam mop tends to leave a lot of water behind, you may want to reconsider cleaning your Italian leather couch. Practice caution when cleaning synthetic fibers as well. Bottom line: Don’t forget to read your manual to know what materials it was designed for. If you’re not sure, try it out on a small area first and see what happens. And if you know a material doesn’t go well with water, chances are using your H2O mop on it is a no-no. • Using it to wash your walls. 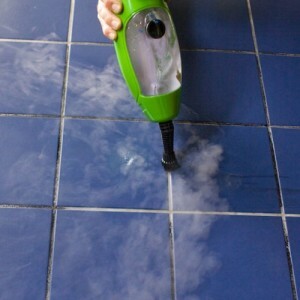 Steam mops can virtually be used on ANY surface that it’s so tempting to see what would happen if you try it on your wall. It’s just the natural curiosity of humans at work (or Darwin’s natural selection). Steam causes paint to bubble, lift or peel so unless you’re looking to repaint your walls after, you probably should just stick to mopping the floors. • Mistaking your steam cleaner for a vacuum. Steam mops are for cleaning and sanitation. They are not made for picking up loose debris that’s on your floor. Any surface dirt that’s picked up will only serve to smear more dirt and keep it from doing its job properly. Using the steam mop without vacuuming the floor can clog it with debris which can cause it to breakdown. • Putting liquid in the water tank that isn’t water. Fun fact: Steam mops run on steam. Steam is the gaseous phase of water that forms when water boils. Theoretically, every liquid forms steam. Steam is also odourless. However, it is designed to work on just that, H2O — also known as “water” – and nothing else. You don’t need to buy expensive detergents to buy and steam is all you need to clean. Just add water. No steamed milk. No coffee. Also, steam mops are not to be used for poaching eggs. The H2O steam mop is your friend! Yes, the steam mop isn’t your usual cleaning tool. It’s a lot different than what you’re used to. It also needs a little TLC but don’t be afraid to use it. If a friend gave it to you as a gift, take it out of the box immediately! And don’t forget to read the manual. You’ll be washing floors a lot quicker and easier and find it to be a more pleasant experience than you remember. This product is available in Thane website.